I have been teaching essay writing, critical thinking and coding to Japanese students for nearly 30 years. During that whole time, I have been concerned about the lack of focus on critical thinking in Japanese schools, and I have seen the negative effect this has had on young Japanese minds. Now, back in my native country Canada, I have been studying A.I. 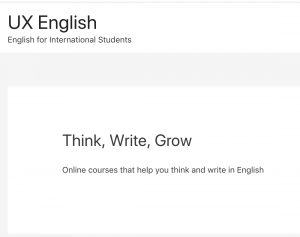 and developing an online course in English essay writing. Critical thinking starts with ideas and a sense of wonder. Essay writing is a great way to pickup such skills! I invite you to join me on a journey to rewire your brain – for the good, of course.